Brand new apartments in Hudson, Iowa starting at $1000month. Stainless steel appliances, quartz countertops, and more. 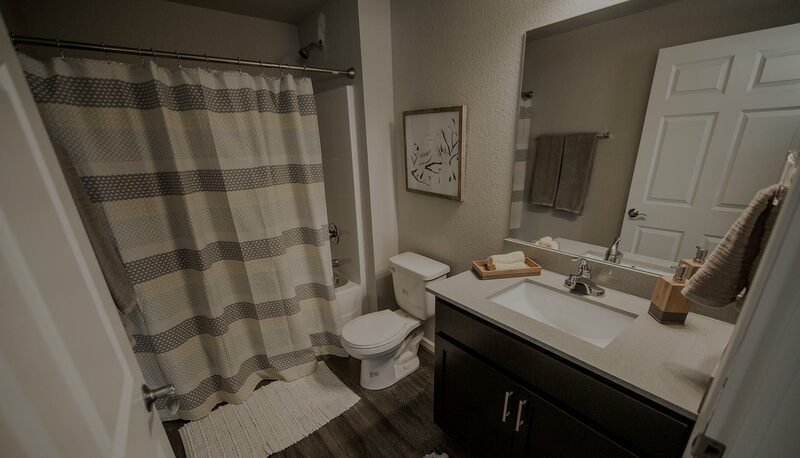 2 bedroom / 2 bathroom condos. Meadowbrook Condos in Hudson, Iowa are brand new apartments in Hudson conveniently located on the NE part of town. Monthly rent starts at $1,000 with a single stall garage. 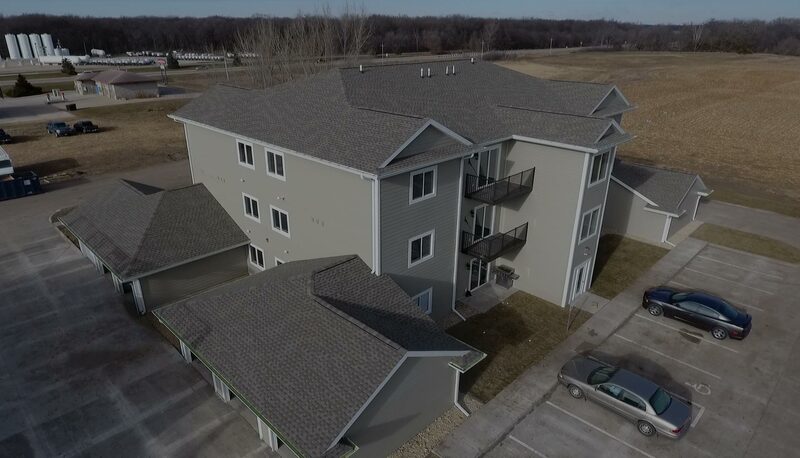 These 12-plex apartment buildings are affordable with easy access to Cedar Falls businesses, UNI campus (15 minute drive), and downtown Waterloo (13 minute drive), making these apartments a great fit for off-campus living, employees of Cedar Falls businesses, and Waterloo-based employees. These condos are filling up fast! Schedule a showing today! Meadowbrook Condos features 2 bedroom, 2 Bathroom open concept floor plans. View a gallery of the units or take a 3D tour. These condos in Hudson, Iowa are conveniently located in the NE part of Hudson on Springfield Avenue. This offers easy access Hwy 63 & 58 with a 15 minute drive to UNI and 13 minutes to downtown Waterloo, IA. These condos boast some of the best apartment amenities in Hudson, IA. 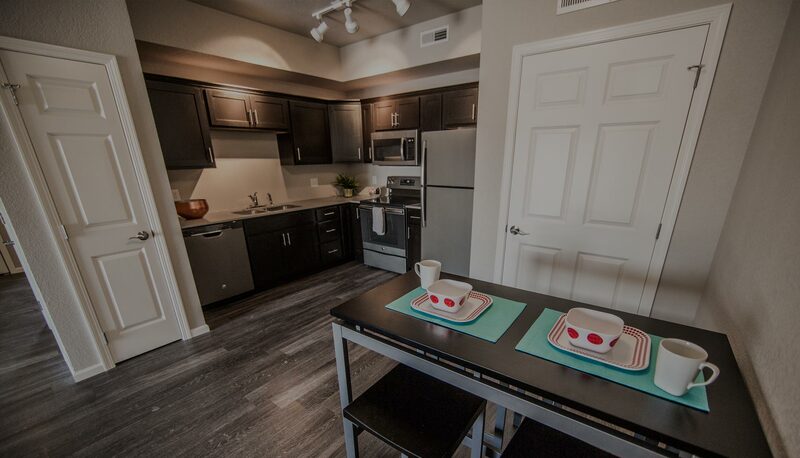 Stainless steel appliances, in-unit laundry, garage stalls with keypad entry, cable TV and internet wiring, and more! 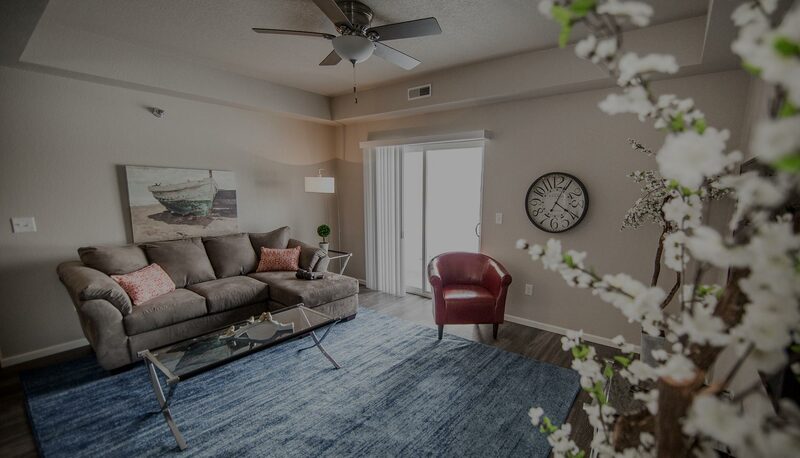 Finishes unmatched in Hudson condos including quartz counters, Bertch cabinets, tile flooring, metal balconies, Pella windows, stainless appliances, and more! At Meadowbrook we want to make it easy for pet lovers to find a place to call home. 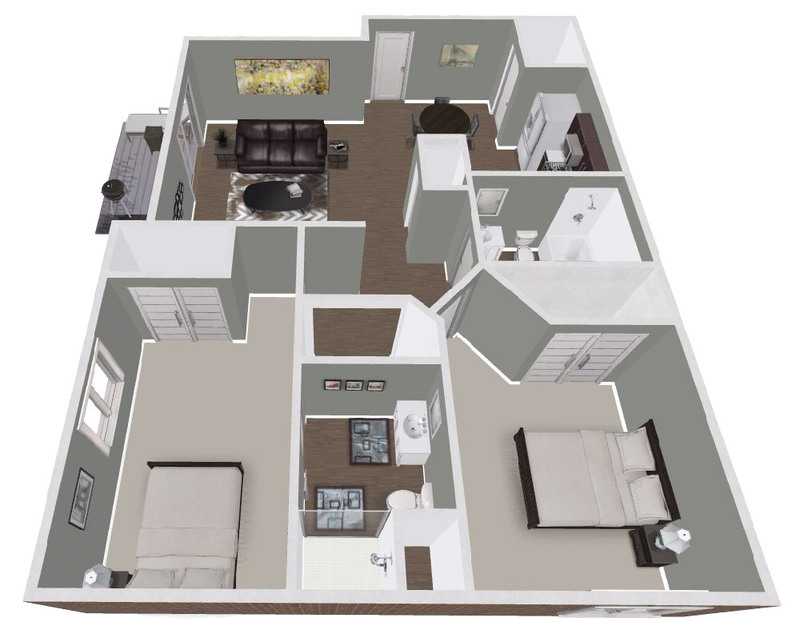 Tour the Meadowbrook Apartments floor plan right from your phone or computer. Interested in living at Meadowbrook Condos? Fill out our simple online application! Call, email, or fill out our simple contact form. Would you like to request a showing? Meadowbook Apartments in Hudson, Iowa are currently available for rent and units are filling up fast. Complete with high-end finishes and quality amenities, these condos will not last long. Fill out an online application today or request a showing if you're interested in living at these Hudson, IA condos!